AAIS's Mentor, Ohio facility encompasses 23,000 sq. ft. of shop and fabrication area. 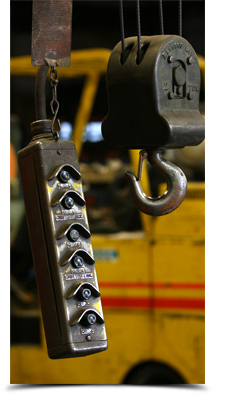 All of which is serviced by multiple overhead cranes to handle any size project. State of the art equipment coupled with an extensive selection of material means AAIS is ready for any emergency project 24 hours a day. AAIS's mobile service trucks can be mobilized at a moment's notice day or night. With the support of our fabrication facility your urgent project can be quickly and efficiently addressed.